Our journey to Bratislava was a crazy one. Much like Dushanbe, a lot of flights out of Tbilisi International Airport leave at crazy hours – and this is especially true if you choose to book a more…discount airline like we did. Instead of opting for the direct flight to Vienna, we booked the cheaper airBaltic flight through Riga, Latvia. Logistically, not the most relaxing decision we could have made, but it was a bit easier on our wallets. The problem with the Riga stop was we only had about 30 minutes to deplane, enter EU customs, redo airport security, and make it to our plane. Obviously, things went haywire as they always do with a tight transfer. First, we were about 10 minutes late getting in. Then missed the first bus to the terminal because of course, this is one of those airports where they don’t use a jet bridge. Then, I swear, we got stuck behind every single person who didn’t know how to do customs. No one had their passport ready. No one had their tickets out. It was maddening. Then, obviously, these same people were in front of us in the security line. I literally almost tore my hair out. We managed to make it and arrived in Vienna early in the morning without any other incident. 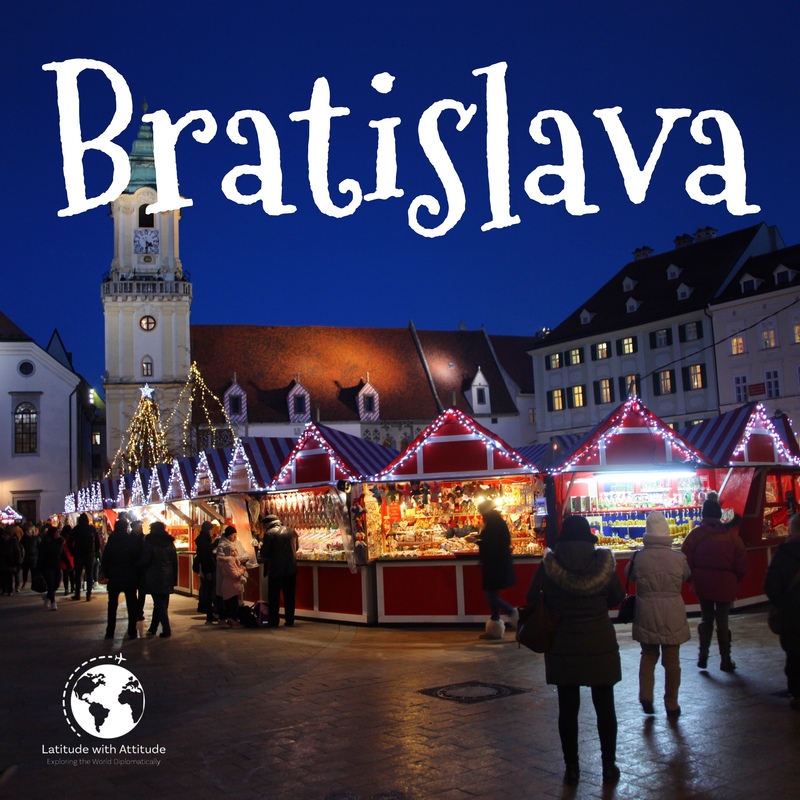 After grabbing our checked bags, we hopped on a bus for a 40-minute drive to Bratislava. I was eager to put that hectic morning behind us, check in to our hotel, and get on with exploring. Unfortunately, as I’ve said before, we always have one major disaster on our trips. In Germany, it was the restaurant that tried to kill us with moss salad. In Costa Rica, it was cops blocking the only road we could take from point A to point B which meant a three-hour detour at night. In Italy, it was the Vespa incident (which I swear I’ll write about in a Throwback Thursday in 2019). In Bratislava, it was timing with our hotel. We stayed in a little hostel steps away from downtown; the perfect location for walking around the city. I’ve said before, I’m past the point in my life where I want to stay in hostels, but when they look like little boutique hotels for less than $40/night it’s hard to pass up. This was one of those hostels where the front desk is only open for a few hours in the morning, then a few hours in the evening. If you arrive outside that time frame, you’re essentially screwed, though if the attached restaurant is open they may be able to help you out. We missed the morning window by about 10 minutes. But, no worries! The restaurant supposedly opened about an hour later so we would wait with our luggage until then. Not ideal, but not the worst situation we’ve ever been in. At this point, it’s probably important to mention that I was not dressed for below freezing temperatures. I had my winter jacket, gloves, and hat, but I wasn’t wearing a particularly heavy sweatshirt, nor super warm socks or leggings under my jeans. I also hadn’t eaten much that day, so my patience deteriorated rapidly. Naturally, the restaurant attached to the hotel didn’t open for lunch as promised, and we then had several more hours until the hostel reception reopened for the afternoon. We took shelter in the restaurant across the street for a very long lunch. When we finally were able to check in, my patience had worn thin and I was on the verge of yelling at someone. Luckily, the lady working at the counter was very nice and had brought her dog to work with her. Want to cool my anger quickly? Give me a dog or cat to play with. We finally got our room, hastily changed into warmer clothes, and set out. Everyone who told us about Bratislava said the same thing: you really only need a day to explore this tiny city. Since half our day was spent inside a cafe, we tore around like fiends trying to see as much as we could. I think we managed to do a decent job, but it would have been nice to not feel so rushed. 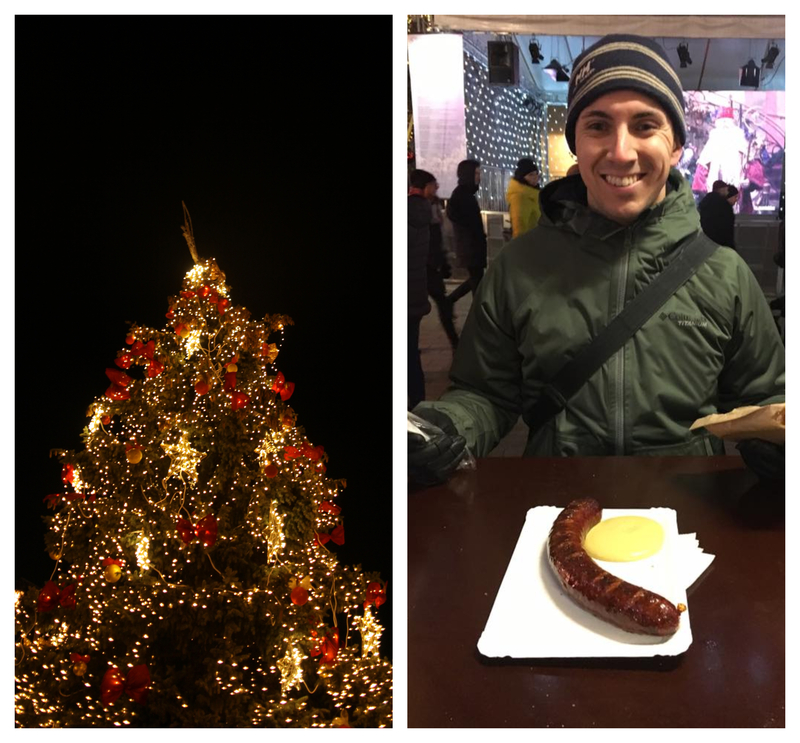 We arrived at the Christmas market right as the sun was going down and enjoyed reacquainting ourselves with one of our favorite European traditions. 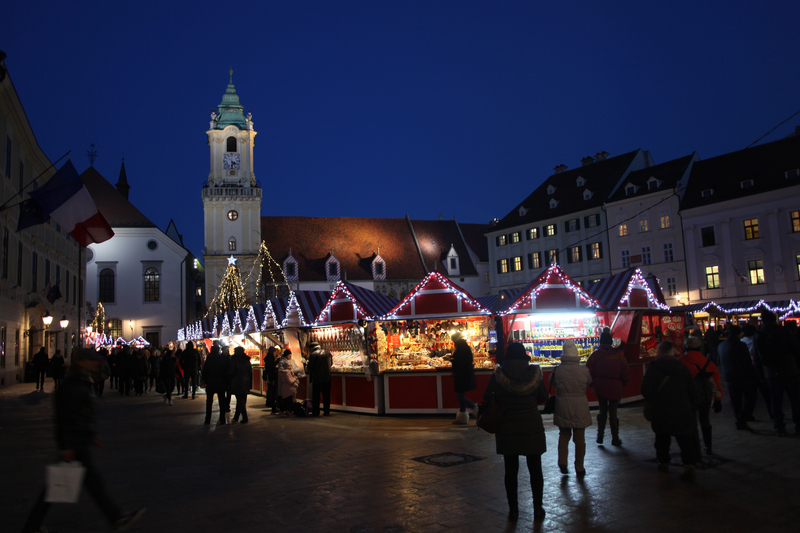 Now, I like the Bratislava market, but I don’t think it cracked my top favorites. This market is more about food than crafts or souvenirs than may of the others we visited previously. The food was delicious of course, but we could only eat so much! Overall, I think my assessment of Bratislava is this: I like it, but I don’t love it. I don’t think I’ll need to return, but if the opportunity arises to revisit this tiny town I’d be happy to see it again.